As Cebu City area is currently densely populated going to South of Cebu Province might be one option to settle your dream home. Somewhere in the middle of Pooc Talisay Cebu, Woodway Townhomes is built with 88 modern style houses. Right there you can choose from the four different model houses all are 2 storey houses with car park. They have Detached (Rosewood), Duplex(Mulberry), Rear Attached(Molave), and Townhouse (Amber) house models. As of May 2016, the available units are 2 corner units and 11 inner units of Amber Townhouse. 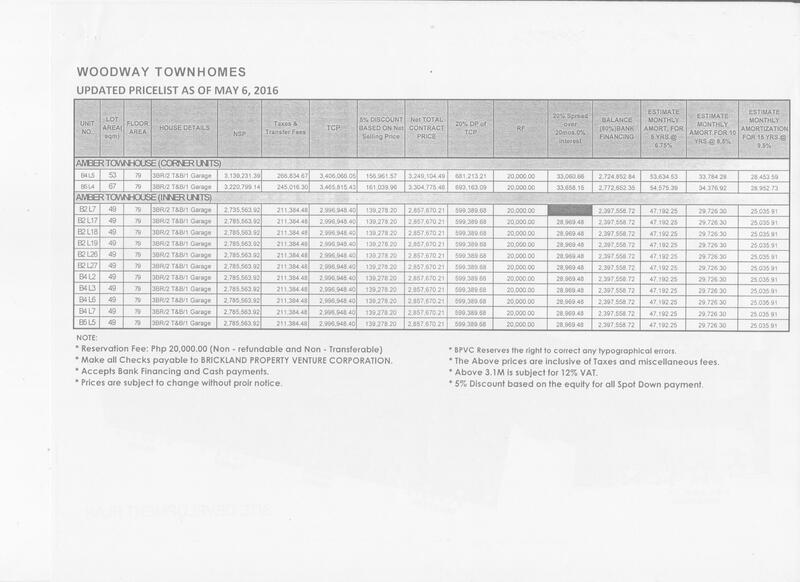 For further details you can view the Woodway Townhomes Pricelist dated May 2016.